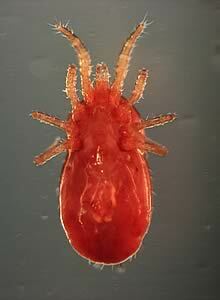 Dergall is an innovative new red mite treatment which has been six years in the making. A non-toxic product, it works by mechanical means rather than systemically, so unlike many insecticides it is safe to poultry and humans, and does not cause resistance in the red mite population. Red mites feed on birds at night, under the cover of darkness, by sucking their blood. Once they have fed the mites crawl back out of sight into hard-to-reach places of the poultry house, often never seen until the infestation is out of control. “Mite infestations can cause huge stress on the birds: Initially you may not realise the mites are present, but as their population develops the hens become agitated, often hardly resting during the night, which is an important time for them to relax and recharge ready for the next day’s feeding and egg laying,” explains Ms Colville-Hyde. Dergall is being distributed by St David’s Poultry Team; a poultry only veterinary practice covering the whole of the UK and Ireland. For more information please visit www.stdavids-poultryteam.co.uk or call Alison Colville-Hyde on 077697 10855.